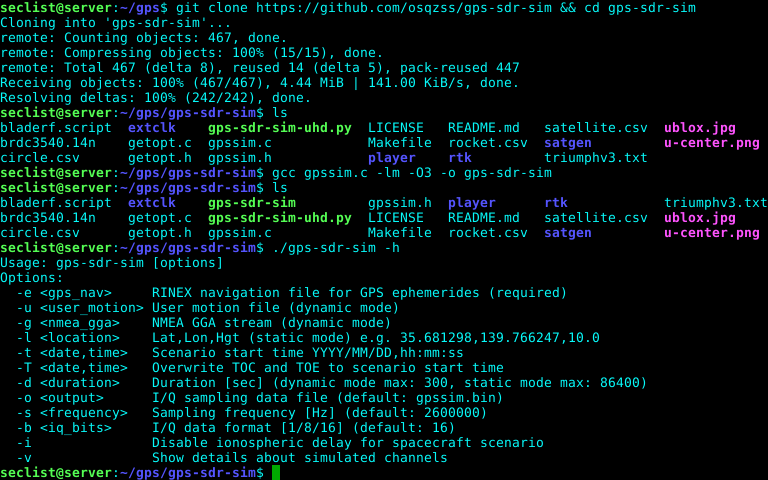 Browse: Home / GPS-SDR-SIM : generates GPS baseband signal data streams simulator. 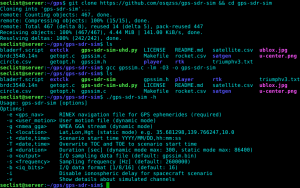 GPS-SDR-SIM generates GPS baseband signal data streams, which can be converted to RF using software-defined radio (SDR) platforms, such as bladeRF(http://nuand.com/), HackRF(https://github.com/mossmann/hackrf/wiki) and USRP(http://www.ettus.com/). + A user-defined trajectory can be specified in either a CSV file, which contains the Earth-centered Earth-fixed (ECEF) user positions, or an NMEA GGA stream. The sampling rate of the user motion has to be 10Hz. The user is also able to assign a static location directly through the command line. 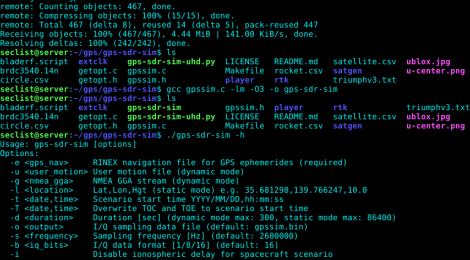 + These files are then used to generate the simulated pseudorange and Doppler for the GPS satellites in view. This simulated range data is then used to generate the digitized I/Q samples for the GPS signal. + The bladeRF command line interface requires I/Q pairs stored as signed 16-bit integers, while the hackrf_transfer and gps-sdr-sim-uhd.py support signed bytes. + HackRF and bladeRF require 2.6 MHz sample rate, while the USRP2 requires 2.5 MHz (an even integral decimator of 100 MHz). + The simulation start time can be specified if the corresponding set of ephemerides is available. Otherwise the first time of ephemeris in the RINEX navigation file is selected. 2. Create an empty project for a console application. 3. On the Solution Explorer at right, add "gpssim.c" and "getopt.c" to the Souce Files folder. 4. Select "Release" in Solution Configurations drop-down list. ← BlackWidow – A Python based web application scanner to gather OSINT and fuzz for OWASP vulnerabilities on a target website.